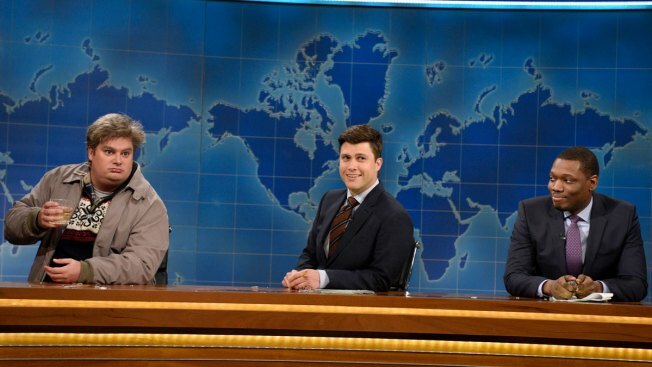 Unfortunately, Bobby Moynihan won't be returning as "Drunk Uncle" on SNL next season. The annual lottery for the notoriously hard-to-get tickets to "Saturday Night Live" has officially opened. The ticket lottery for the 2018-2019 "SNL" season runs from Aug. 1 through Aug. 31. It's the only month during the year that fans can enter for a chance to score a pair of tickets to the show at 30 Rockefeller Plaza. To enter the lottery, send an email to SNLtickets@nbcuni.com and write about why you'd like to be part of the studio audience, NBC says. Only one email may be sent per household, and all audience members must be at least 16 years old. Those selected will receive two tickets to a random show date and time. Entering the lottery doesn't guarantee tickets, NBC reminds people. Standby tickets are also distributed the morning of the show, beginning at 7 a.m. on the 48th Street side of 30 Rock. Those tickets are distributed for either the 8 p.m. dress rehearsal or the 11:30 p.m. live broadcast. Certain hosts and music acts have been known to attract fans who camp out in the ticket line for days – even in snow, sleet and rain. For more information, visit NBC.com.